It glows in the dark! 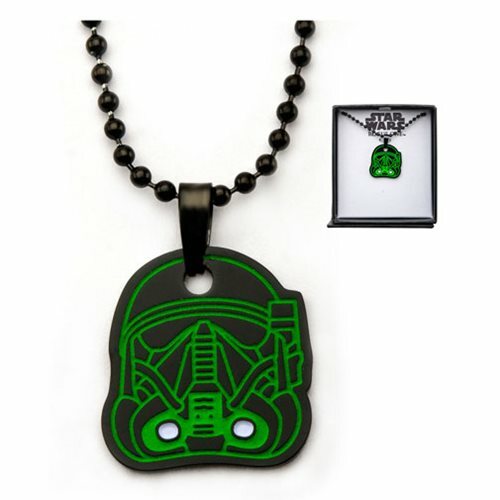 Inspired by the 2016 Rogue One: A Star Wars Story movie, this awesome Star Wars Rogue One Death Trooper Glow-in-the-Dark Black Stainless Steel Plated Necklace features a fearsome Death Trooper on the front. Black with green enamel filling, it comes with a black 22-inch long ball chain in a gift box that's also ideal for display.